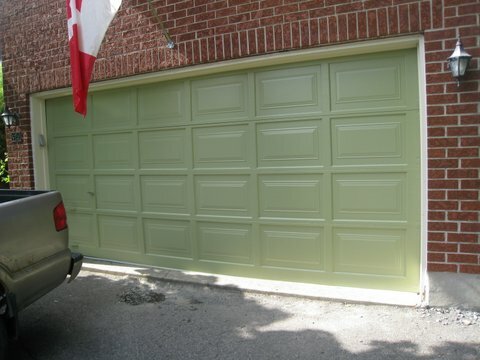 This garage door required a little bit of care to bring back the lovely colour it once was! The door was sanded in the areas that required it, caulking was done on areas where the wood had split. 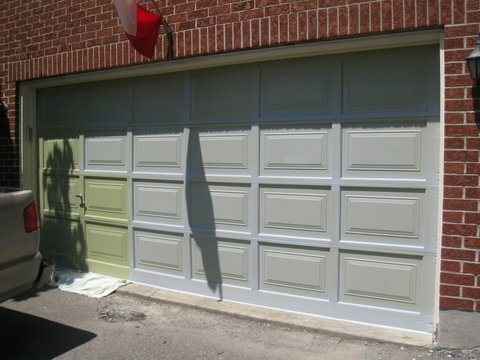 Primer was applied then a fresh coat of paint.